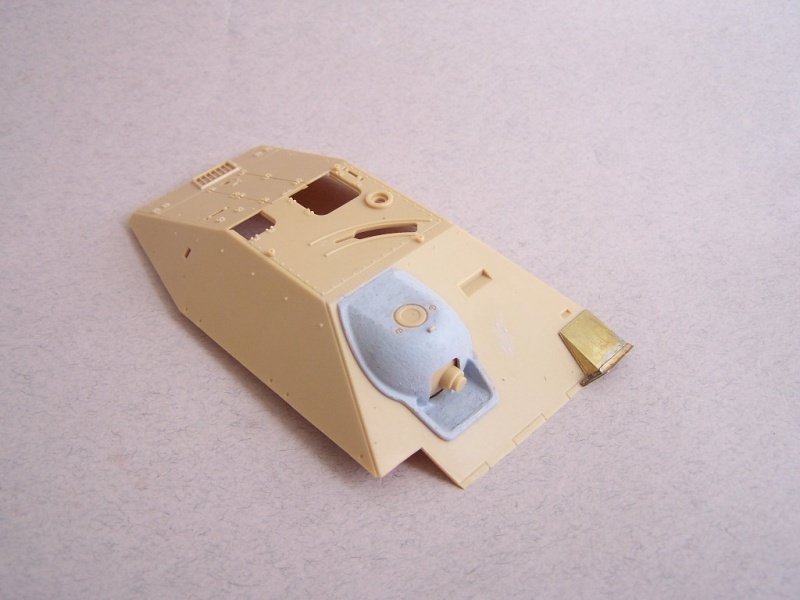 I'm starting another armor build,a very nice vehicle for me-Jagdpanzer Hetzer. The model is from Academy, very good kit, plus some PE improvements from DEF model and RB metal barrel. There will be terrain, tree/s etc. I see that DRAGON has the "FlaK" Hetzer coming soon, and several other versions coming as well. I'm wondering why DRAGON hasn't chosen to do a new "Bergehetzer"? 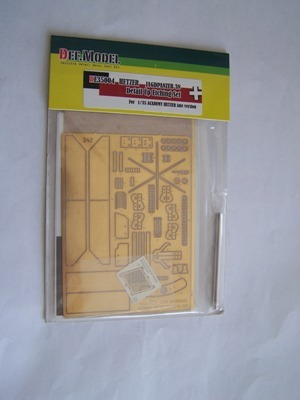 I think that a PLASTIC kit of this version would find itself in many modellers' collections, including mine! I've built Academy's early version, which was a nice build. Don't know how it compares to the other leading brands but I've not heard any real negatives about it. I want the Late as well, but it comes with the same figures - they basically just swapped in a few parts to make a new kit. Just like Dragon. I would have preferred a "berge" version as well. I don't think the flak Hetzer made it off paper. If I wanted to build fantasy tanks I'd do Warhammer 40K. 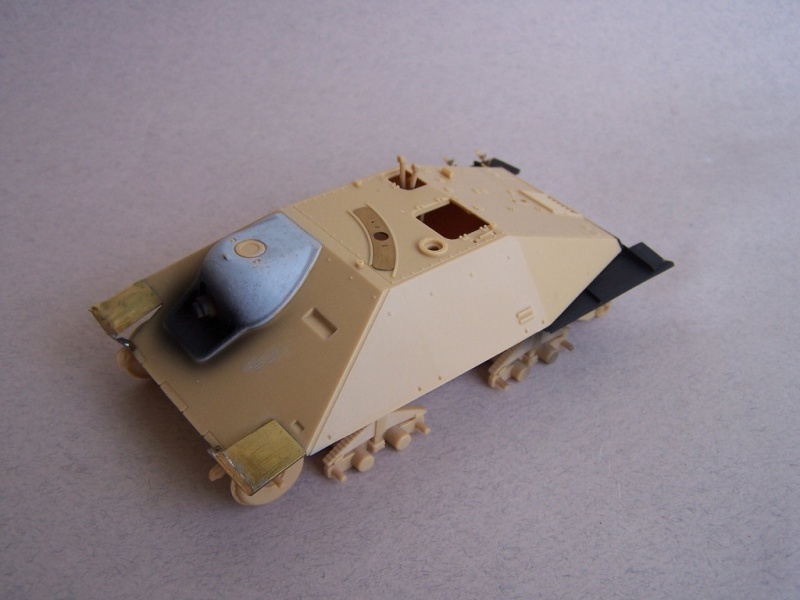 I was wondering if the ACADEMY Hetzers include vinyl Tracks, or if they are "link-and-length" Tracks like the TAMIYA kit, or if ACADEMY chose to use "indy-links"..? They are link and length tracks. 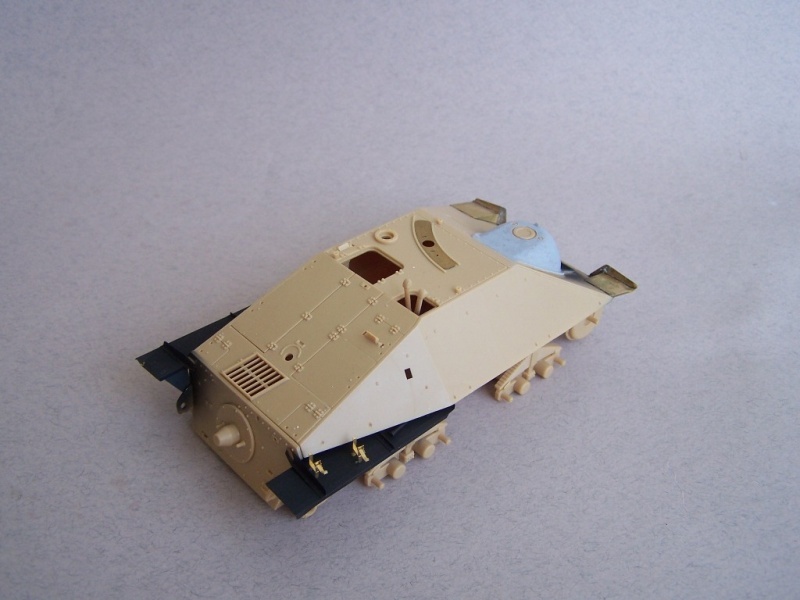 ...I was wondering if the ACADEMY Hetzers include vinyl Tracks, or if they are "link-and-length" Tracks like the TAMIYA kit, or if ACADEMY chose to use "indy-links"..? Oh, good! There are some ACADEMY Hetzers in my future! I have a Trumpeter Starr but have yet to build it. 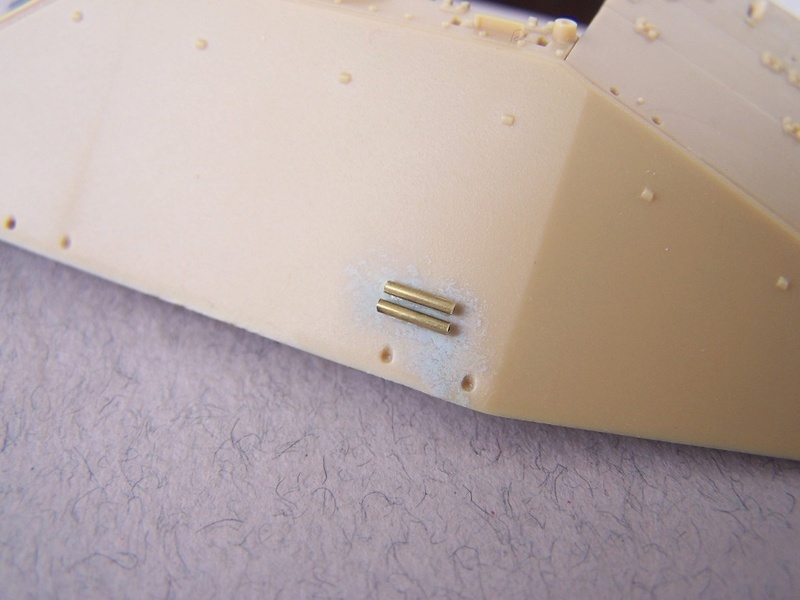 It comes with individual links and track pins to be inserted during assembly. It has a jig as well. Very nice work on those figures! Can't wait to see what you do with the Hetzer. 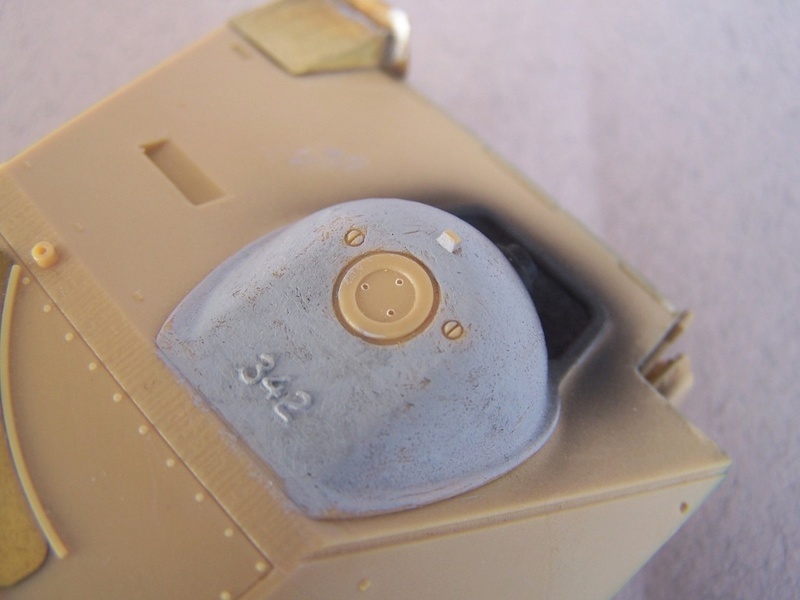 Texture added on the mantlet with Surfacer 500. 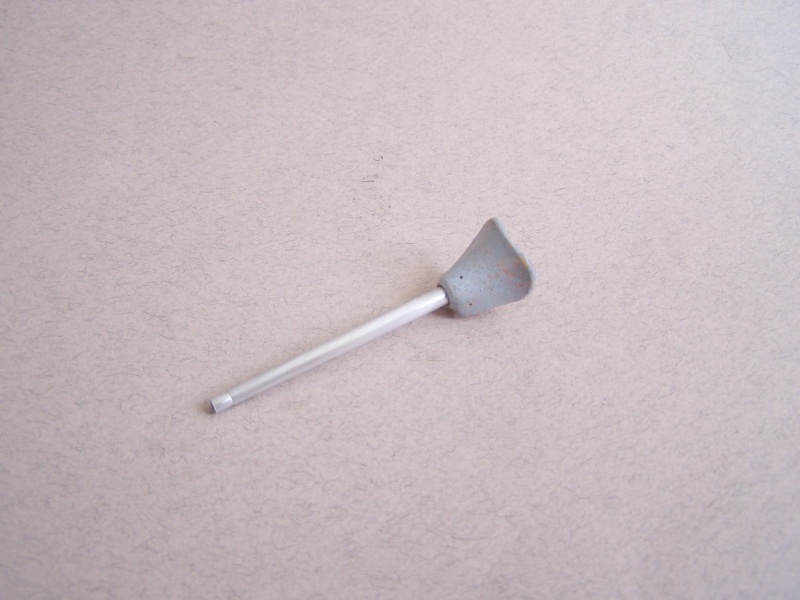 The right mudguard will be damaged, I will put it later. They're out of production right now, but I recommend hunting up the Eduard. 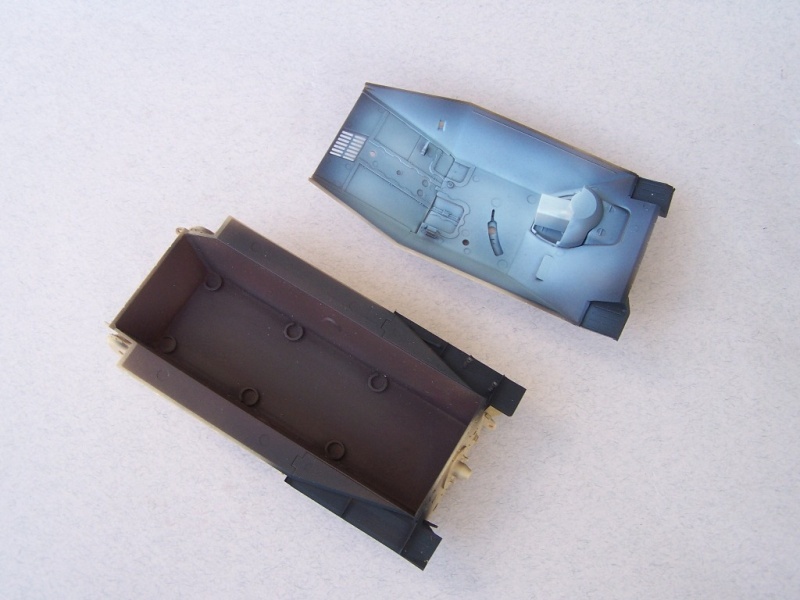 Kinda reminds you of a TriStar kit, as it comes with full interior (not perfect, but 90% will never know the difference). 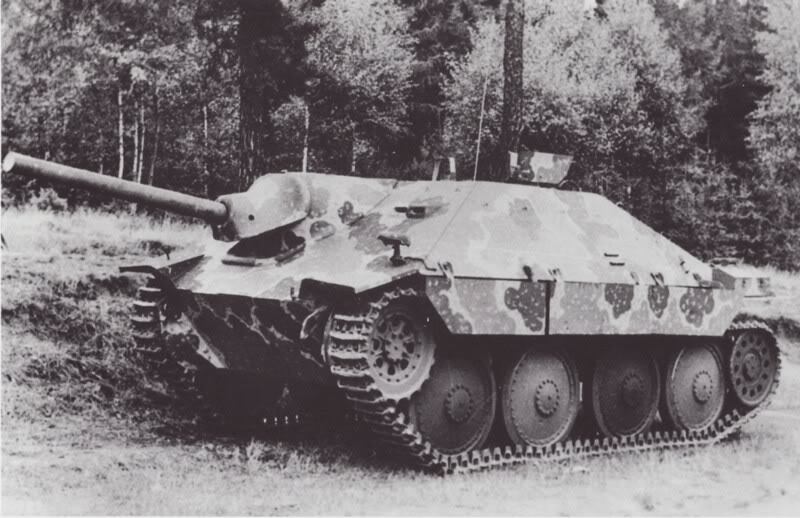 They did an early and a late Hetzer. Bought both for less than $30 a piece on Ebay. After reading so much about the Battle of Budapest and Battle of Lake Balaton.There was so much fierce fighting so much of the armor beaten up,I will be following your Jagdpanzer 38(t). I think these Academy Hetzers are lovely little kits. They just fall together and the tracks really do not need replacing unless you feel flush with money. I have a number of them in the stash and built several 'Kraut Kit' (ex New Connection) conversions based on the kit chassis. 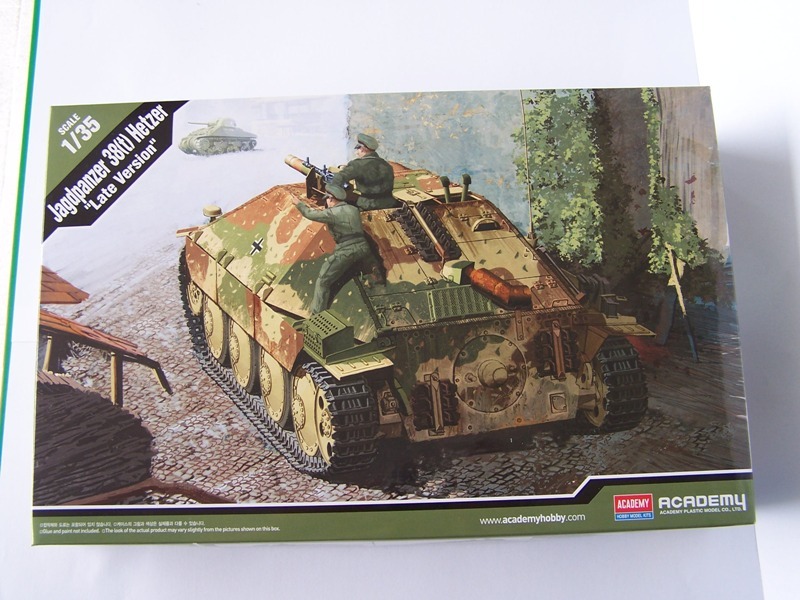 (Hetzer 'Katchen', Hetzer with PAW600, 75mm L/70 rear fighting compartment and more to come). Ideal kits for the newby. The Kit is coming along great, Cant wait to see it completed. One of four test vehicles. Hetzer with 75mm L/70. Must have been a pig to drive with that gun. 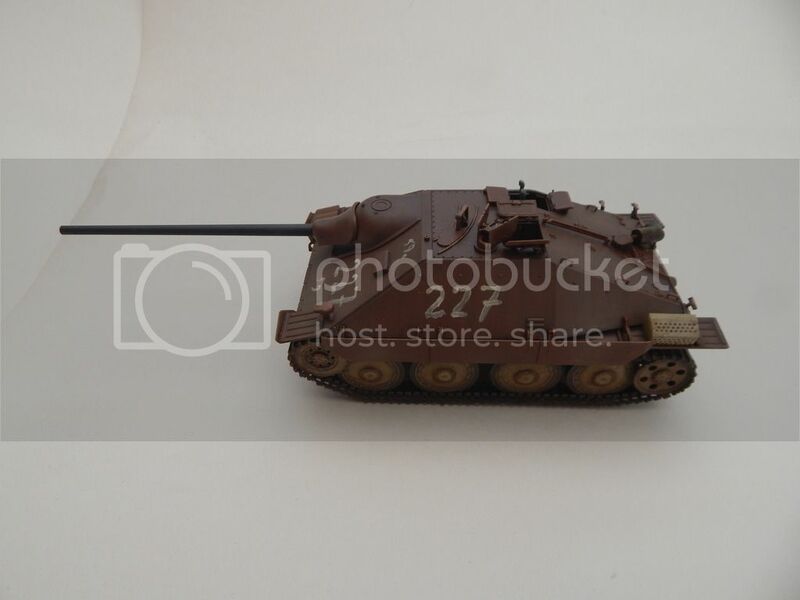 Academy Hetzer with RB Models barrel. Hi! I appreciate you mentioning that NEW CONNECTIONS is now KRAUT KIT!!! 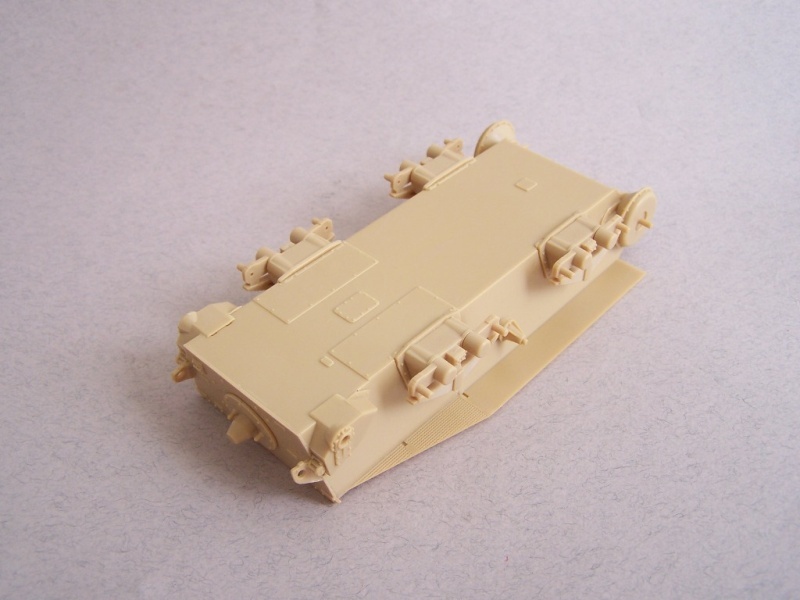 NEW CONNECTIONS made some outstanding conversion sets, and it's good to see that KRAUT KIT will be continuing in this vein! 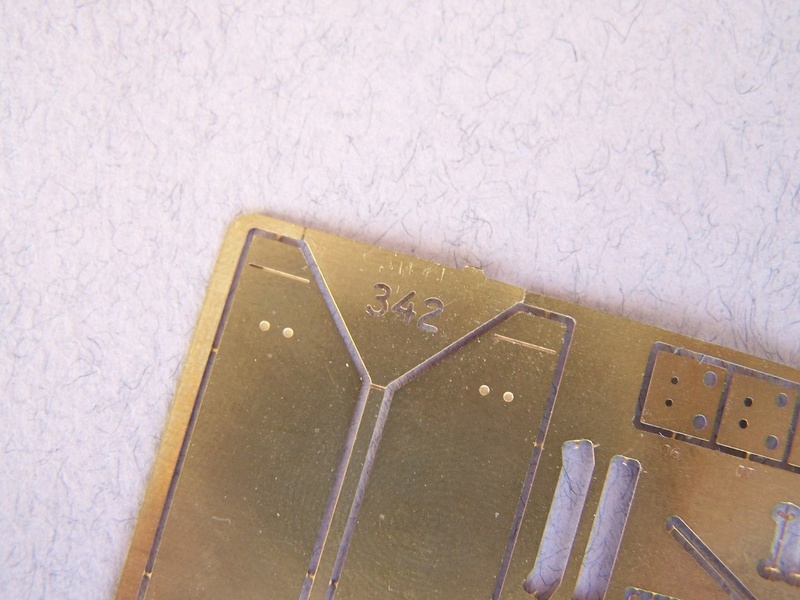 I did the cast numbers with pressing melted sprue on the PE template. 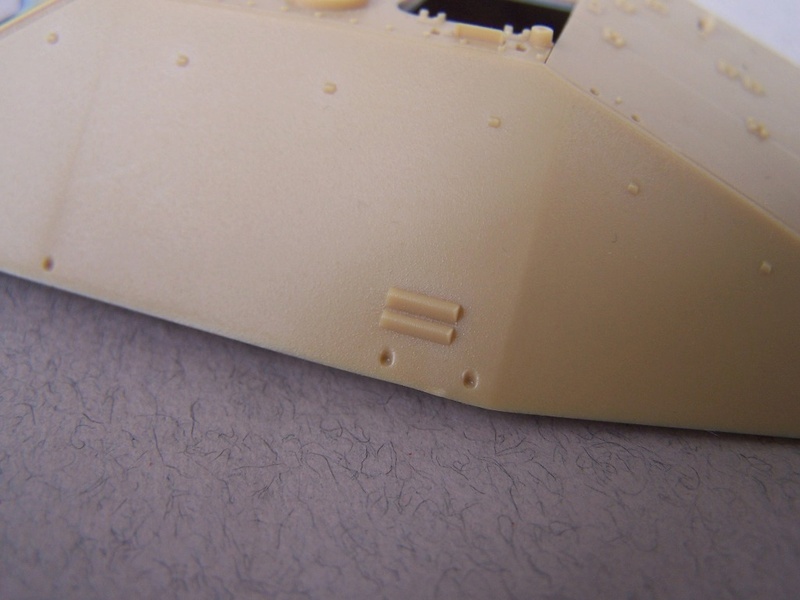 Also did the three missing bolts on the gun mantlet. I have doubts about the presence of the ambush scheme in Hungary-most pictures show standard Skoda factory camouflage for the Eastern front, any opinion?